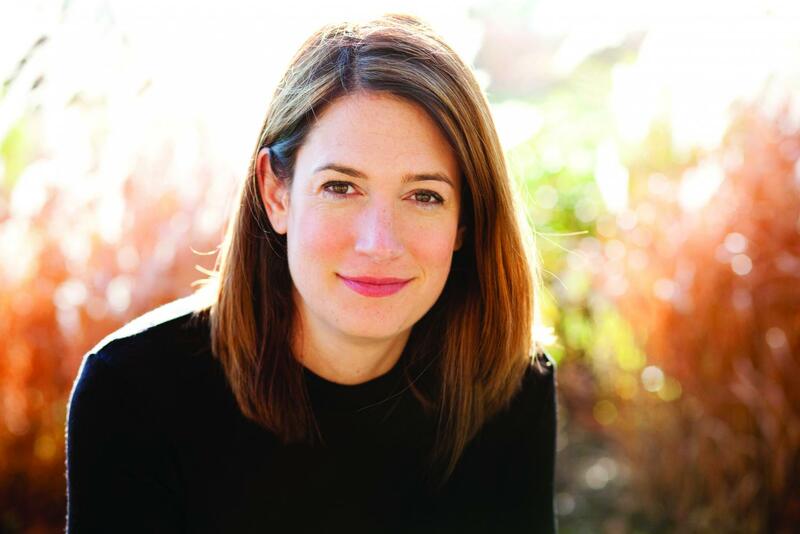 Author Gillian Flynn (MSJ ’97). Flynn said it’s incredibly important that to show all kinds of women in literature. Gillian Flynn (MSJ ’97) is an internationally acclaimed novelist, but she says she wouldn’t be anywhere without her training as a journalist. The “Gone Girl” author said her education at Medill and her career as a journalist has taught her one of the most important principles of writing — that is, sitting down and actually doing it. But before all that, Flynn was a fresh Medill graduate working as a television critic for Entertainment Weekly. For 10 years, Flynn said she “watched movies and read books and watched TV,” and learned to think critically about why certain works were impactful and others were not. As a television critic, Flynn said she was also able to learn firsthand from the work of screenwriters she admired. Those artists, she said, were the ones who took risks, even if it meant making something flawed. “I’d much rather see something that’s imperfect and unique and could only come from that person’s brain than something that’s formulaic,” Flynn said. Much like her writing role models, Flynn said she likes to explore flawed characters — the “dark side of humanity,” as she said — in her novels. Many of these protagonists are women, something Flynn described as a deliberate choice. Men, Flynn said, are able to grow up and see a wide variety of male characters, from good to bad and everything in between. For her, it is important to see women in all their different states, and explore the humanity within that. Because of the dark nature of female protagonists in her novels, some of Flynn’s works have been labeled as misogynistic. On Flynn’s part, she said she feels honored people can have a conversation and a back-and- forth about her books, but she pushes back against the idea that her novels are misogynistic simply because they feature women who are not heroes. Getting to watch a book she published in 2006 being made into a series 12 years later was an “interesting” experience, Flynn said. While the series has received wide critical acclaim, the book wasn’t initially received as well by potential publishers. Many viewers and readers alike, Flynn said, have resonated with the protagonist Camille’s struggle with mental health and will to survive. The dark and deeply troubled Camille was starkly different from the woman who played her, the “sweet, brilliant” Amy Adams, and Flynn joked that production went on so long because everyone was waiting for Adams to step into Camille’s shoes. With the production of “Sharp Objects” behind her, Flynn has moved onto her next projects. Her Amazon television series, “Utopia,” will begin filming in Chicago next year, she said. She is also in the middle of writing her fourth novel, a dark thriller she said was inspired by her reaction to the election of Donald Trump. Though she’s looking forward to the future, Flynn keeps her past at NU close to her heart, saying Medill is where she “fell in love with writing.” It was a good friend from NU who introduced Flynn to her husband, and Flynn is in the process of becoming an officiant to marry another friend from Medill, she said.